The 26th analytica met with overwhelming interest. In the past four days, some 35,800 visitors from all over the world came to the competitive exhibition of the industry on the Munich fairgrounds. They all wanted to know: Where is the laboratory industry heading? 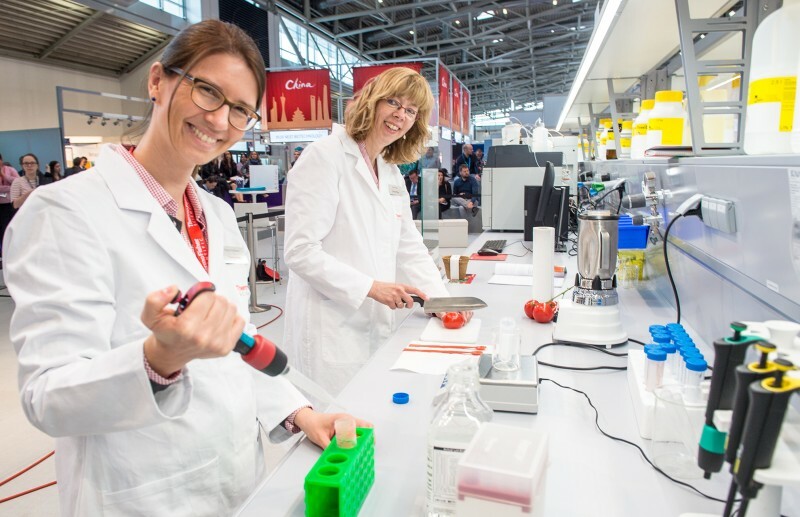 At the leading international trade fair for laboratory technology, analysis and biotechnology, 1,164 exhibitors from 49 countries gave impressive answers to this question. The strongest increases in visitor numbers came from China, Austria, Korea, Russia and Japan. The top visitor countries were, apart from Germany (in this order): Austria, Switzerland, Italy, China, Great Britain and the USA. Satisfaction among the visitors is very high, according to a survey by Gelszus-Messe-Marktforschungsinstitut: 99 percent rate the event as good to excellent. 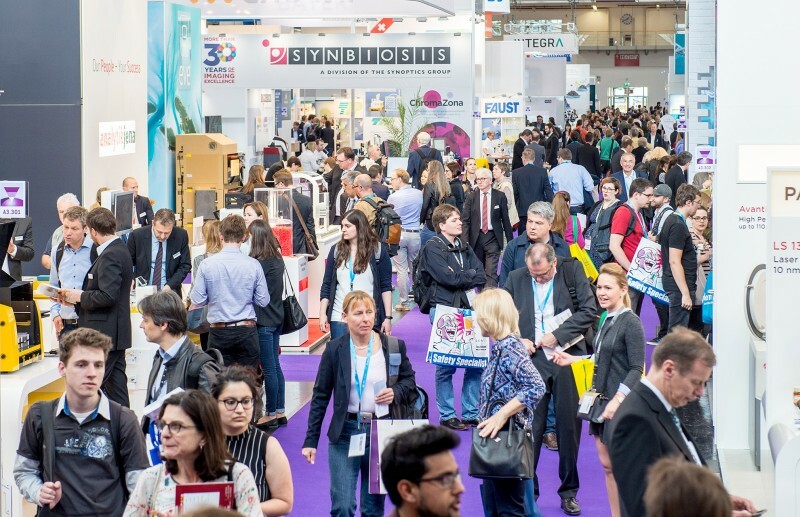 “Every second exhibitor at the analytica 2018 came from abroad. This number underscores the synergy effects in the direction of Munich that emanate from our foreign trade fairs. 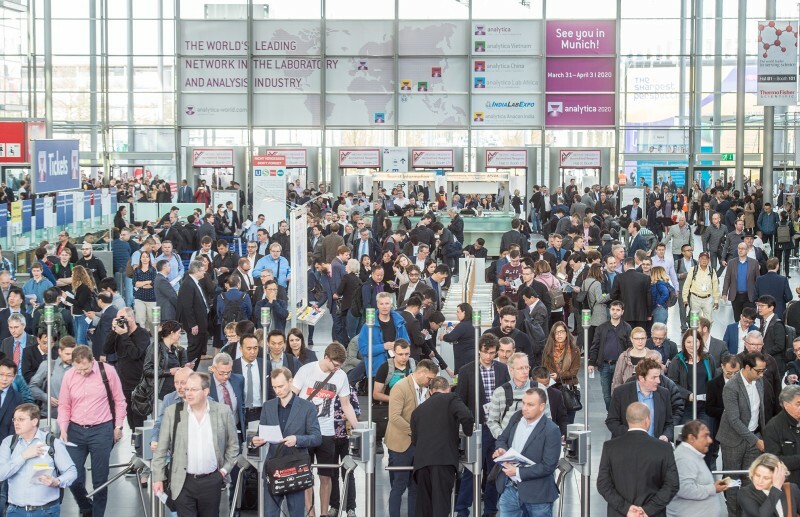 For international manufacturers who are interested in the European market, Munich is a ’must see’ event”, emphasizes Claudia Sixl, Exhibition Group Director of the analytica network at Messe München. This high level of approval is also a sign that the industry is doing well. New developments in the health sector are driving growth in the IVD market. In 2017, for example, the Life Science Research department of the VDGH reported an increase of 1.4 percent in laboratory diagnostics. 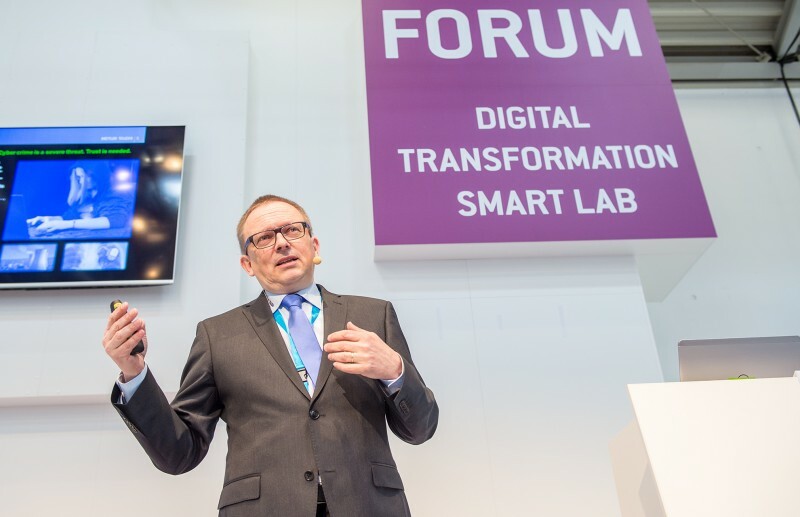 Product presentations were also an integral part of the program at the Forum: Eppendorf, Mettler-Toledo, Thermo Fisher and the members of Nexygen presented smart solutions for the future. For example, Joe Arteaga, Director Connectivity—Laboratory Equipment Technologies at Thermo Fisher, showed how device networking helps to streamline workflows and drive research. The visitors showed great interest in the individual program items; free seats were scarce. Thus, the premiere of the Forum Digital Transformation already was a great success. However, not only there was digitization on the agenda: With a total of 59 items on the supporting program, visitors from the field were able to gain such a comprehensive picture of digitization as they could at no other laboratory fair anywhere in the world. The analytica conference reflected this, just as the Personalized Medicine Focus Day did, where there was enormous visitor interest already at the opening discussion with Dr. Friedrich von Bohlen und Halbach, Managing Director and co-founder of dievini Hopp BioTech holding, on Friday morning. This interest continued unabated up to the last discussion panel of the event: “One in a million—your data will be king”. At the two Live Labs, Food Analysis and Material Analysis, the visitors from the field were able to experience other big topics of the industry at close quarters—almost en passant—right in the thick of the exhibition: From detection of glyphosate in tomatoes to short-term or long-term weathering of various materials. Here, too, the visitors’ interest was appropriately high.The Forum Laboratory & Analysis and the Forum Biotech also guaranteed high-level knowledge transfer. Once again, visitors were enthusiastic about the special show Workplace Health and Safety with real-world scenarios on the dangers in the laboratory—including loud “bangs” as results of chemical reactions. 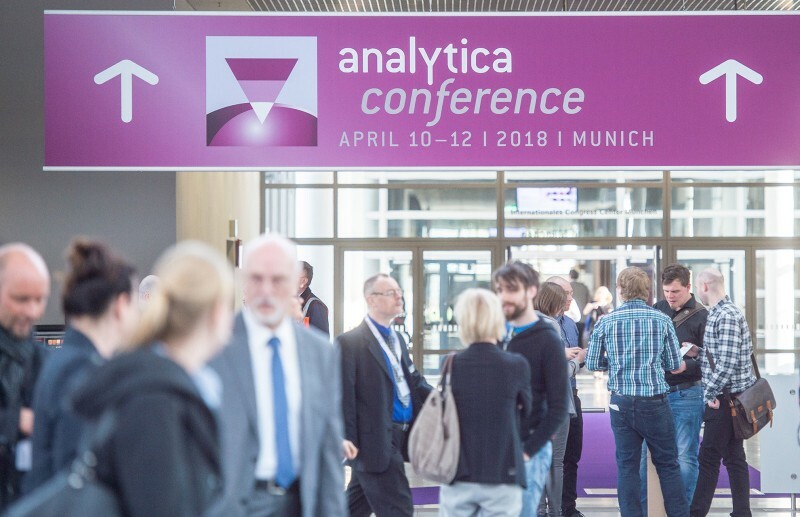 The analytica conference also contributes to the top result: 2,074 participants—an increase by 12.8 percent from 2016—learned about the hottest scientific topics in the industry. Chairs and speakers from Europe, China, Korea and the USA gave lectures on such topics as the use of analytical methods in food chemistry and toxicology, the role of consumer health analysis, and the handling of big data. Here, too, the lectures were often filled to the very last seat. 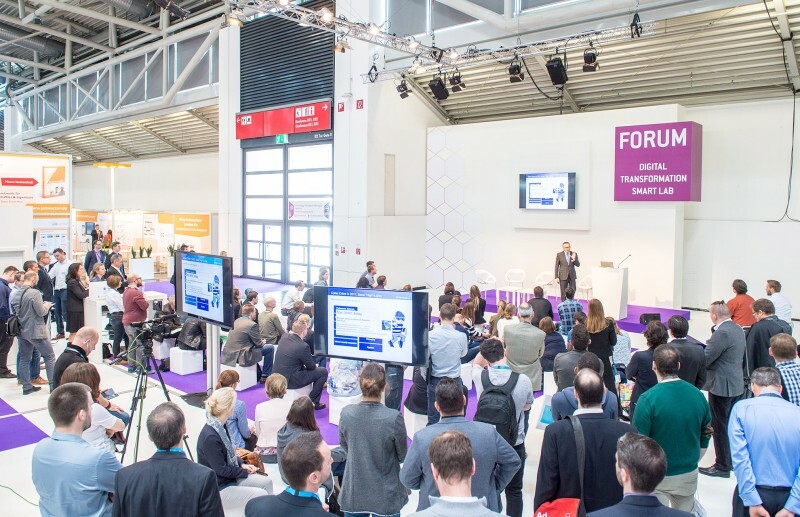 The next analytica will take place from March 31 to April 03, 2020, on the fairgrounds of Messe München. The industry will meet next from September 06 to 08 at the analytica Anacon India and India Lab Expo in Hyderabad. From October 31 to November 02, analytica China will then take place in Shanghai.